Melissa (Brown) Rooker grew up in Fairway, Kansas, attending Roesland Elementary School, Indian Hills Middle School and Shawnee Mission East High School. She earned a B.F.A. degree from the University of Kansas. In 1986, after graduating from KU, Melissa married her fellow KU classmate, Tom Rooker of Leawood, Kansas and moved to Los Angeles where they spent 15 years working together at Clint Eastwood’s Malpaso Productions, based at the Warner Bros. Studios. Serving as Assistant to Mr. Eastwood, Melissa’s responsibilities included reading and analyzing potential film projects for the company. She was promoted to Malpaso’s Director of Development in 1995, working with screenwriters, producers and the outside agencies where their films were shot to guide the rewrite process. Later, she was promoted to VP of Development before retiring in 2001 to focus on raising the couple’s two children, Lindsay and Jack. 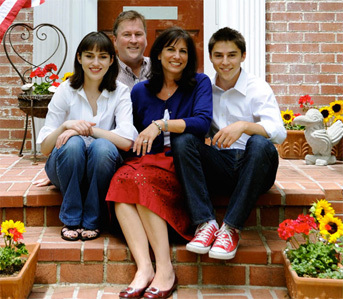 A desire for the quality of life she enjoyed in her own childhood – outstanding public schools, a shared sense of community, and proximity to extended family – drew her back to Kansas in 2004. They settled in the neighborhood where she grew up. Her two children attended the Shawnee Mission schools, and both graduated from Shawnee Mission East High School. Her daughter Lindsay is now married and living in Phoenix with her husband and son. Melissa’s son Jack is set to graduated from KU in May 2018 and is working on a Master’s in Public Health from George Washington University. During the past 15 years, Melissa has been actively involved in the community as a volunteer, serving many different roles in PTA including a stint as the president of the Indian Hills PTA, president of the Bryantwood Homes Association, secretary of the KC Strikers Soccer Club, member of Game on for Kansas Schools steering committee, and member of the SMSD Career and Tech Ed Advisory Council. Melissa spent three years as a board member and legislative liaison for the Shawnee Mission Area Council PTA. Her efforts involved visiting nearly every school in the district to connect with PTA units in order to listen and share critical information with parents about school finance, answer questions about legislative priorities, as well as encourage engagement and participation in the election cycle. Melissa also served on the Kansas PTA Advocacy Team. State PTA efforts included meeting with Governor Brownback and key legislative leadership during Kansas PTA Advocacy Day. In addition to her work with the PTA, Melissa served on the Indian Hills Site Council, The East Fund board, and the Renovation Sensation board. In 2012, Melissa was elected to the Kansas House of Representatives where she served for three terms. During her tenure in office, Melissa played a pivotal role in crafting a response to the Gannon school finance lawsuit. Her efforts led to a rewrite of the school finance formula and reinvestment of over $823 million dollars in our public schools. She served on a variety of committees including Education, Transportation, children & Seniors, Vision 2020, Transportation & Public Safety Budget and K-12 Budget. In addition to her legislative duties, Melissa was the KU Chancellor’s appointee to the Johnson County Education Research Triangle Authority Board, legislative representative on the Kansas Forest Service Advisory Council, and member of the Shawnee Indian Mission Advisory Board. Her work for the Kansas Forest Service included successfully carrying legislation in 2017 to add Kansas to a mutual aid agreement for wildfire management. Melissa was appointed to serve as Education Committee Co-Chair for the Council of State Governments. Melissa is a 2015 graduate of the Bowhay Institute Legislative Leadership Development program, as well as a graduate of the Kansas Leadership Center’s “Legacy & Leadership in the Statehouse” leadership development program for new lawmakers.